Add some modern class to your event with our charming Sweet Shoppe Monogrammed Candy Favor Boxes. 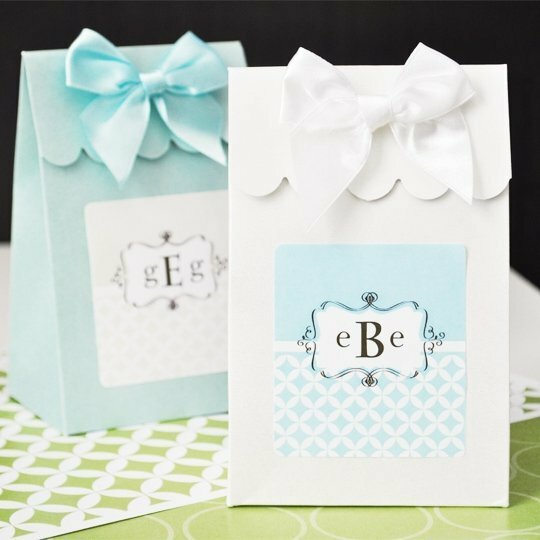 A great way to package treats for your guests, the modern style monogram can be used to pay tribue to the guest of honor, or symbolize the joining of the bride and groom. Create buffet of treats like gummies, chocolates, hard candies and cookies and let your guests fill the boxes themselves! 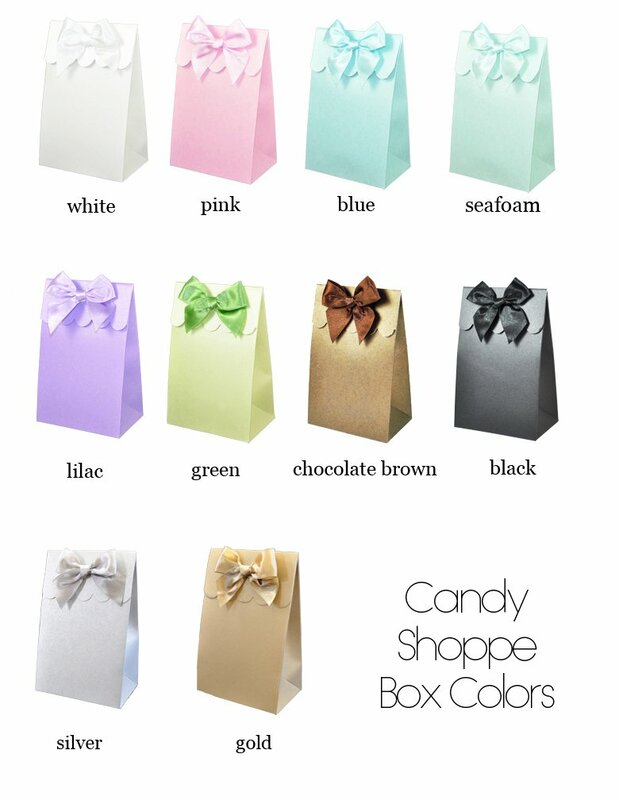 Boxes are available in seven shimmery colors along with a matching bow. 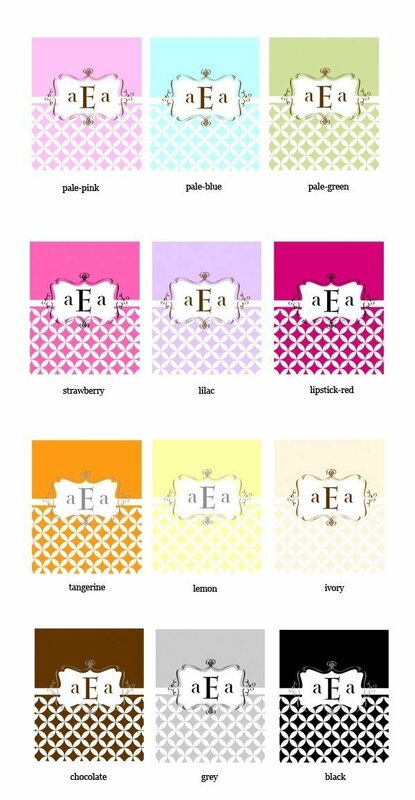 We also include personalized labels in your choice of colors along with 3 Monogram style initals. Stickers on the box flaps hold them closed once they're filled. Comes in sets of 12. Box size: 5.75" x 3.75" x 2.5"
NOTE: Boxes come with matching bows only. Some assembly required to affix self-stick labels and stick-on satin bows to boxes.